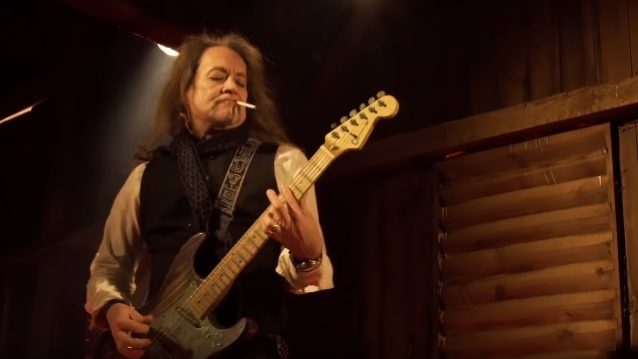 Earlier in the week, Eonmusic revealed how Jake E. Lee had been approached to rejoin Ozzy Osbourne's band for 2010's "Scream" release. Lee had originally worked with Osbourne on 1983's "Bark At The Moon" and 1986's "The Ultimate Sin". In the interview, which has been published in full on Friday (October 26), Jake opened up about exactly how how he found out he was fired from the band. Contradicting a clam found on Wikipedia, the guitarist laughed: "I had no idea it was coming, but it wasn't by telegram! I mean, it was the '80s, and I guess people sent telegrams back then, but I didn't get it via telegram." Going on to reveal that it was Sharon Osbourne's job to tell him, the former BADLANDS man said that the manager didn't have the heart to tell him the news. "Sharon Osbourne called me, and said she wanted to have dinner with me," he recalled. "I suppose there was clues in there, because she was talking about how, 'Someday, Jake, when you have your own band.' I think her major piece of advice was to be on time: 'When you're leader of a band, you kind of need to set an example, and you need to be on time,' and that was the only clue I had, really." Continuing, Jake said that although there were clues, Osbourne didn't actually tell him he was out of the band. "My roommate at the time was also my guitar tech, and he came back from the Rainbow, and he'd seen [Ozzy bandmates] Phil [Soussan, bass], and Randy Castillo [drums], and he said they came up to him and said, 'So, what are you going to do now that Jake's out of the band?' So he ran back home and told me, and said, 'Dude, did you just get fired?' and I went, 'No.' And he went, 'I think you did.' [And I said] 'No. I just saw Sharon, I just had dinner with her, and we talked and talked — I think she would have told me if I was fired.' And he said, 'Well, that's not what Randy and Phil said.' And I was, like, 'Oh, come on!'" He went on: "So I picked the phone up, and I called Sharon back and said, 'I just heard the weirdest rumor, 'and she broke down and said, 'Yes, it's true.' And I said, 'What, do you mean I'm fired?' And she goes, 'Yes, that's why I took you out to dinner.' [Laughs]"
Contradicting popular perception that there was animosity between the two camps, Lee concluded: "We got along very well when I was in the band. I considered us friends back then, and just the fact that she was supposed to fire me and couldn't, it's hilarious in retrospect. That night, it wasn't so hilarious." 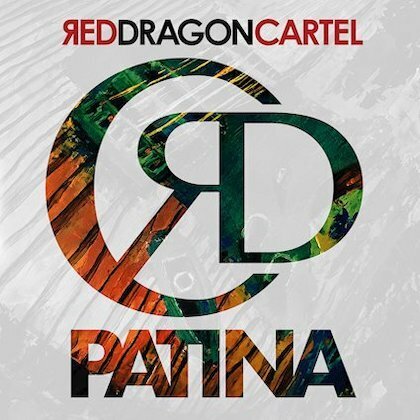 Read the full interview, where lee discusses the new RED DRAGON CARTEL release, "Patina", his greatest career moment, and more, at Eonmusic.